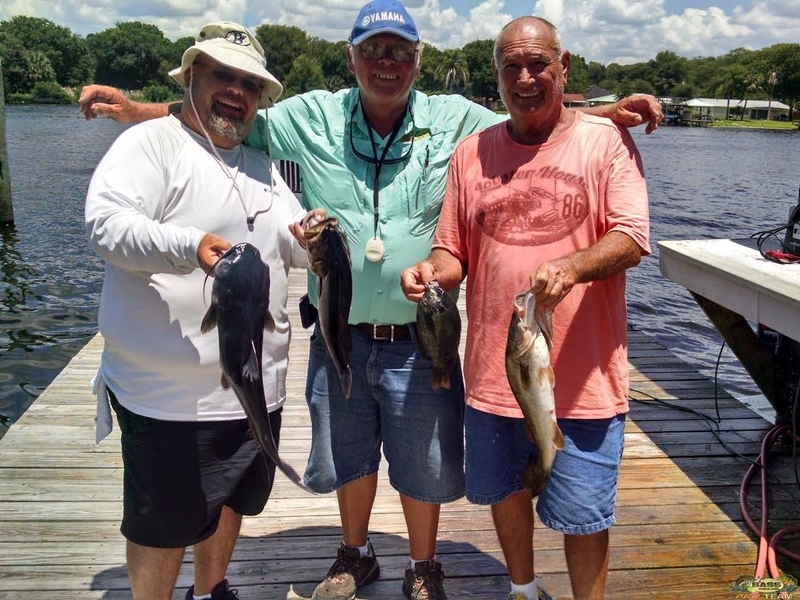 This is Capt Steve with my fishing report for the St Johns River, I had Jerry and his son Bo out and they wanted to do some bass fishing and brim fishing. We found some real nice copperhead brim and shellcracker about a dozen and caught them off the beds in 4 to 5 feet of water. We used a cork on up above the worm and just dragged it across, whenever the cork would stand straight up, you knew you were on a bed. We also caught 3 bass one was about 4 pounds and one was around 2 1/2 to 3 pounds and we caught a 5 1/2 to 6 pound catfish on a shiner. It was a little warm out there today we did find some beds up in the real shallow clear water but there wasn’t any big fish on those, we caught a few but they weren’t keepers. We released them to grow up some more, anyway I look forward to having them come back and fish again. This is Capt Steve for all your freshwater fishing adventures go to BassOnline.